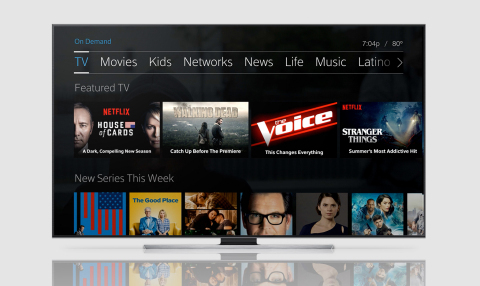 DVR and web programming included with their Xfinity TV subscription. everything they are in, across both Xfinity and Netflix. current season from Xfinity — available in one place. immediately explore and enjoy the service on X1 or across devices. interested customers can visit www.xfinity.com/X1. To learn more about Netflix on X1, visit www.xfinity.com/netflix.